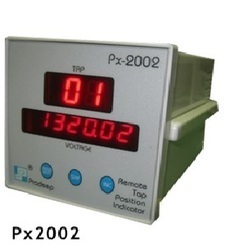 Abiding by quality focused approaches, we are engaged in manufacturing, supplying and exporting Tap Position Indicator. Under the offered range, we provide Total Performance Indicator. 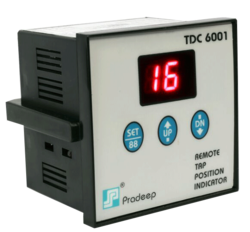 We manufacture these position indicators using optimum quality raw material, sourced from trusted vendors so as to ensure their longer service life. Furthermore, to fit the varied needs of patrons, we provide these positions indicators as per their detailed specifications. Understanding the requirements of patrons, we are engaged in manufacturing, supplying and exporting Tap Position Indicator. Offered position indicators are high in demand as these are designed in-line with the universally accepted quality standards. In order to ensure the same, we manufacture these position indicators using latest technology and premium quality raw material, sourced from the certified vendors of the industry. We are a preeminent organization engaged in manufacturing, supplying and exporting Total Performance Indicator. To ensure the high standards of offered performance indicators, we make use of quality approved raw material and latest technology in their manufacturing process. In addition to this, we strictly follow globally accepted quality norms while manufacturing these performance indicators. We have carved a niche for ourselves in the domain by offering high grade Total Performance Indicator.Offered performance indicators are able to meet the expectations of patrons as these are in-tandem with the globally followed quality standards. In order to ensure the same, we manufacture these performance indicators using modern machinery, latest technology and best quality raw material. 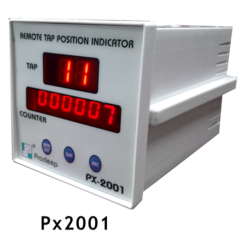 With our profound industry knowledge, we are able to come up with Tap Position Indicator. 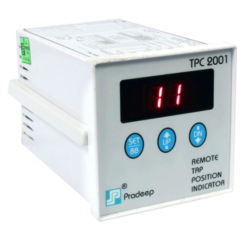 We carry out the manufacturing process of these position indicators by making use of supreme quality raw material with the assistance of professionals. These professionals ensure that offered position indicators are made in accordance with the established quality standards and as per the requirements of patrons.